Conveyor installation contractors install conveyor systems to transport heavy materials, moving them from one place to another. Conveyors are essential when it comes to moving large and heavy packages and materials from one point to another. They are efficient and effective hence their use in almost all industries with the need for handling materials. We have a large base of customers that access our conveyor setup services. Maintenance managers, plant managers, industrial plant managers, maintenance planners, maintenance supervisors, maintenance technicians and purchasing agents make up the majority of our audience. 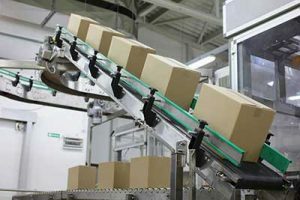 Basic conveyors to highly automated conveyors, including brakes, transfers, and/or zoning. A new industrial plant/production facility needs to install a conveyor belt system for the first time before it can launch its operations. An existing industrial plant/production facility needs to replace its aging conveyor system to improve performance, reduce costs and keep up with the latest technologies and innovations in the market. An existing industrial plant/production facility needs to reconfigure or expand its facilities. An existing industrial plant/production facility needs to replace a broken conveyor belt that’s beyond repair or troubleshooting. Reliable safety measures provided by properly engineered systems to prevent possible accidents; these systems can be installed anywhere. The low costs and versatility of conveyor belts are attributed to their popularity and wide use. Irrespective of a product’s weight, size and shape, it can be effectively transported on a conveyor belt. Products are transported on conveyor belts either in irregular elevations or straight lines. PVC and related materials are used to make conveyor belts. Items or products with irregular surfaces or bottoms are often transported on conveyor belts. In warehousing and manufacturing industries, conveyors facilitate the transportation of heavy materials for easier and more effective handling. Furthermore, conveyor belt installation companies support manufacturers in their efforts to automate procedures by installing conveyor belt systems. They can automate processes in industries such as food processing, packaging, pharmaceuticals, automotive, canning, furniture, electronics, bottling, agricultural and scrap metals. Airports and postal and freight firms also use conveyor systems to automate handling of baggage. Therefore, conveyor systems are the business lifelines because they efficiently support increased production. These systems need proper conveyor belt maintenance for the respective industries to attain high performance. It takes high availability of critical parts, regular motor inspection and monitoring, and proper personnel training on maintenance to reach high ratings on performance. It is also important for the right conveyor design and type to be installed for a manufacturing company to achieve high performance. The weight, shape, size and material of the items to be conveyed should be considered when selecting a conveyor system. With proper maintenance, a conveyor system’s service life is bound to increase. Therefore, if a conveyor belt stops functioning, a company is unable to move its products from one place to another, leading to reduced production. This is where installing conveyor systems by IMS professionals come in to ensure that the integrity and quality of your products and services aren’t impaired while being moved from one point to another. We offer a turnkey conveyor belt system setup process. This means that our customers can count on us to handle the whole process of installing conveyor belt systems, all the way from inception to completion. We don’t just install conveyor belts and production line equipment, but also repair and troubleshoot any related problems. This gives us a deep understanding of the configuration and capabilities of conveyor belt equipment and machines. Furthermore, we offer support for all the equipment and machines that we install. We are only a call away whenever issues arise when using our installed machines, systems and equipment. When our customers need to optimize and increase their production output for increased revenues, we are on standby to make their goal a reality. With over 60 years working with industrial machines, we have attained combined experience working on conveyor systems and production line machinery. This means we provide all solutions our customers might need in this segment. Moreover, many of our customers have been working with us since IMS’ original inception in 1994. We believe this is a testament to the quality and dependability of the service that we provide. We can partner and work together long-term to ensure that your conveyor systems work properly and in case of failure, get them fixed as soon as possible, or get your new plant’s conveyor belt systems up and running. We assure you of quality services to meet your needs and great outcomes to keep you happy. After all, your happiness is our happiness and so is your success. As such, your needs and happiness comes first. Therefore, we do what’s within our powers to provide conveyor belt system solutions tailored to meet your unique needs. We are here for you. Call IMS today for your conveyor installation service needs.